Enjoy your music with an amazing audio experience and make a fun fashion statement at the same time! 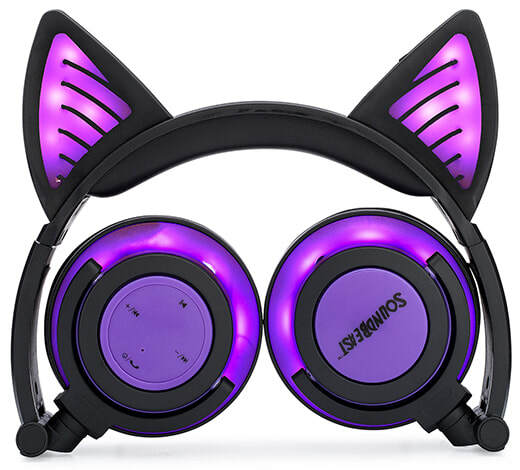 Our Cat Ear Headphones allow you to do just that. The glowing lights can be turned on and off and include a "blinking" mode too! The standard 1/8" (3.5mm) audio jack works with most smartphones, tablets, laptops, desktops, and MP3 players. 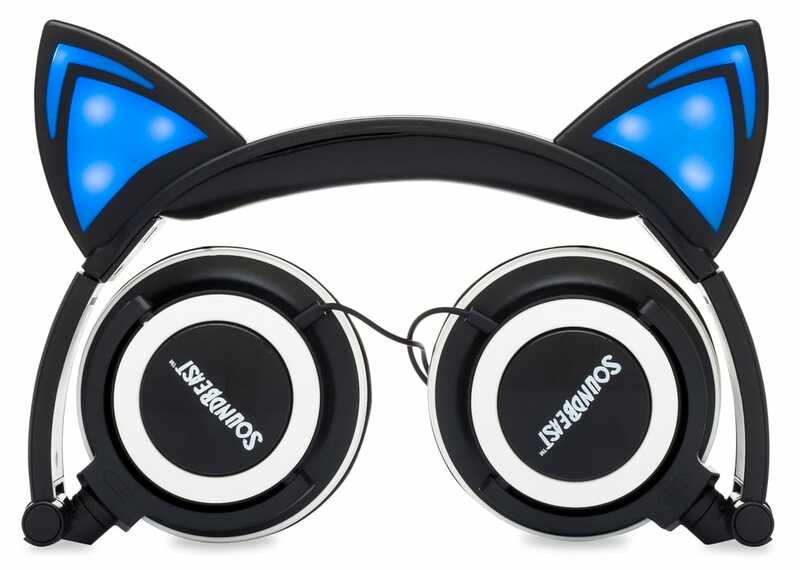 All of our headphones come with a full 1-year warranty from us (SoundBeast). Also available for purchase on Amazon.com.